Finding books to prepare our toddler to be a “big sister” has been a main priority in our household the last couple of weeks. After reading many books, I complied a list of my favorites that include the following criteria: diverse characters and families, breastfeeding, baby wearing and true realities of becoming a big sister or brother. I hope that you find this list helpful! Written by the author of In My Heart, this interactive book is perfect for toddlers experiencing the excitement of waiting for a new sibling. The main character is a sweet little girl who is anxious to start her role as a big sister, so that she can share all her favorite things (cupcakes, swimming etc). Paired with interactive flaps, that show the new baby growing inside her mother’s tummy, this book is perfect for expecting mother’s to read throughout a pregnancy to explain what’s happening as their bellies grow. Part of the Lola series, this third book is perfect to get toddlers ready for a new baby. 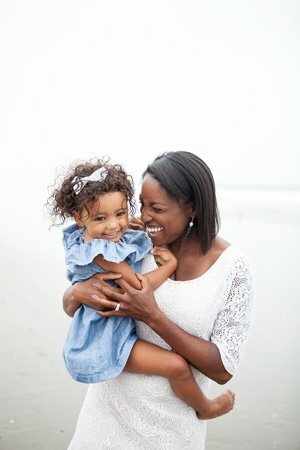 This story has a simple storyline that toddlers can easily follow and relate to. When her new baby brother arrives, Lola eagerly takes on a big sister role and reads to him all the time (bath, diaper changes etc.). Not only does this book describes how much work a new baby is, it also shows the importance of being a big sister. Guaranteed to make you cry, this books is a perfect tribute to cherished moments with a firstborn child. From first smiles, walks outsides, and cuddles with the family dog it celebrates those moments that will always hold a special place in a parents heart. It’s a truly special book that reminds a firstborn that they will always hold an important place in their family, even with the impending arrival of a sibling. It’s also a beautiful keepsake to sign and tuck away someplace special for your firstborn. Mercer Mayer books always have an endearing way of relating to young children and parents. This classic story simply explains what to expect when a new baby comes home and ways siblings can help. Heartwarming and humorous illustrations accompany each page and will help parents prep older siblings for a new baby. Written in 1972, this classic tale eloquently reassures toddlers that a mother’s love is endless and that there will always be room in her lap and heart. Soft watercolor illustrations, beautifully capture the tenderness and comfort of cuddling with mommy. A sweet story with simple text and bright illustrations that models how everyone in a family can help when a new baby arrives. Each page also helps to build conversation about what to expect when the new baby arrives, and new responsibilities family members will take on. If your toddler loves Daniel Tiger and Baby Margaret, this book is perfect! It focuses on Daniel finding special ways to introduce his new baby sister into the family. When she arrives, Daniel finds the perfect present and helps pick out her name. Daniel Tiger fans will read this book over and over again! Told with humor, and hilarious illustrations these book gives sound advice about the realities (good and bad) of a new baby. Diverse siblings are featured throughout the books, making it easy for children of different races to relate. It’s also the perfect gift for an older sibling because it has a place to write details about the new baby and to include a photograph. These two books are part of a series to prepare young children for the birth of a new baby. Toddlers that ask a million questions will relate to the questions asked throughout the text, as they wait for the arrival of a new sibling. Colorful and simple illustrations accurately capture daily activities that toddlers will connect with their own life, as they prepare for a big life transition. This is also one of the best series that shows a mother breastfeeding and baby-wearing her newborn. Colorful illustrations and diverse characters shine in these beautiful books. 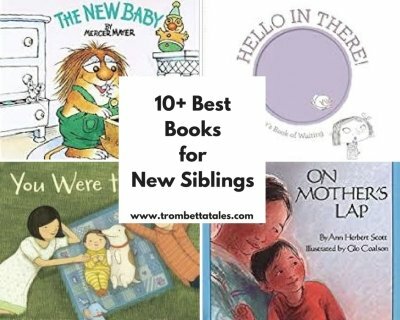 These books not only help prepare older siblings for a new baby, but also celebrate special milestones of “big sisters” and “big brothers”. Share some of your favorite books to help prepare toddlers for a new sibling! I’d love some more ideas! We picked up some of these when my son became a big brother. He also loved the Daniel Tiger DVD about having a new baby. It was on repeat in our house! Gotta love Daniel Tiger! Thanks for reading my post!